We get it, it happens. The kids do you a “favour” and decide to wash the dog. The bathtub runs over (and over and over). Your teenager is learning how to parallel park – emphasis on learning. You forgot to lock up your store at night and someone uses the five-finger discount on all your furniture. At Access Insurance, we understand that sometimes life throws unexpected curveballs your way. We’re here to back you up, no matter what personal, auto, or commercial predicament you find yourself in. Life isn’t always smart, clear, or simple, but we are. 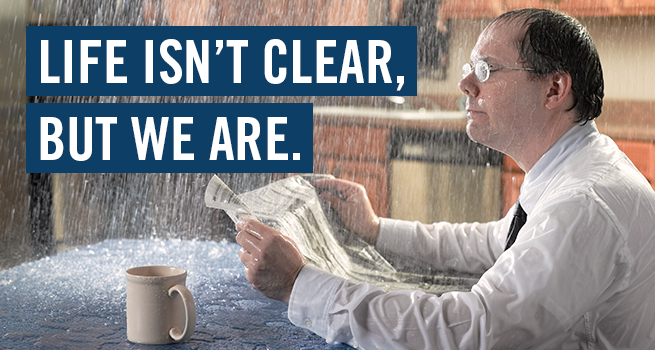 With trusted advisors and quick claims service, we’ll make sure that things get back to normal soon – because you have bigger things to worry about. Compare the best prices by getting your quote today. To find out more, call us toll-free at 888.608.2400, call 780.435.2400 or fill out the form below and we’ll contact you.